" In 1983, UNESCO named Machu Picchu, Peru´s World Heritage Site. UNESCO cited the city´s magnificent site, its architecture and its significance as an almost perfectly preserved example of Incan technology and social organization. While trekking the Inca Trail, you will enjoy first-class personal service from our professional, bilingual, licensed and certified guides." Machu Picchu was connected with the Inca city of Cusco and the rest of the Inca Empire by trails of excellent design in strict and perfect harmony with the natural Andean environment. The Inca Trail to Machu Picchu is surrounded by breathtaking scenery, crossing the Andes mountain range and sections of the Peruvian jungle and rainforest. Our amazing Inca Trail adventure passes several well-preserved Inca ruins and settlements before ending at the "Gate of the Sun" on Machu Picchu Mountain. If you have decided to hike the Inca trail to Machu Picchu, please keep in mind that the daily number of people accessing the trail is restricted and a government-issued inca trail trekking permit is required. 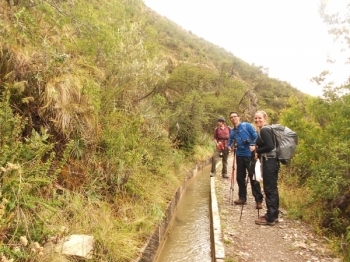 Please check availability of inca trail permits before booking any hiking tour that requires it. If thinking about a Machu Picchu tour in 2019, it is very important to book as early as possible. By doing so, be confident you will be the first in line and most likely get the Machu Picchu hiking permit needed for your awesome Peru adventure. Our Top Seller Machu Picchu hike will take you to the Inca's empire capital along one of the most beautiful paths on the planet. Our expert guides and support stuff will make sure you enjoy your trip to the fullest. 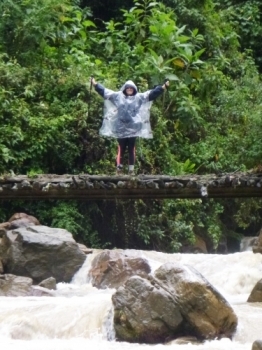 Book the Best Inca Trail today! In order to control access to the Machu Picchu Sanctuary Area, inca trail regulations need to be followed by all people hiking to the location; all permits are non-transferable and change of dates are not accepted by the government office in charge. The inka trail is closed throughout February for conservation projects. Peru is a country of friendly people, beautiful scenery, and a great variety of cultural traditions. 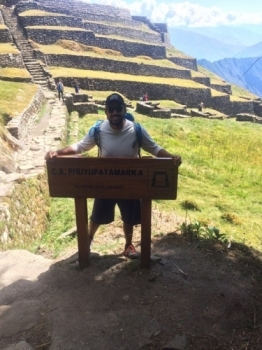 Hiking the Inca Trail creates lasting memories and instills a great sense of accomplishment once it is completed. This blend of outdoor adventure and historical exploration is a great way to experience Machu Picchu! The Inca Trail is the best-known and most popular hike on the South American continent, complemented only by the iconic Inca site of Machu Picchu. Together they have become one of the Seven Wonders of the World. 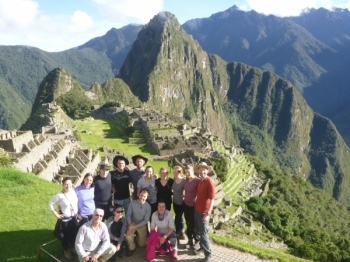 Our fully supported 4-day tour along the Inca Trail and Machu Picchu is the best alternative for a small group adventure where you will be sharing your experiences with a variety of like-minded travelers from all over the world. This is perfect for individuals, couples or small groups of friends. We invite you to come and enjoy this truly unique and memorable experience. Spaces are limited each day, please review Inca Trail booking information before making the reservation. 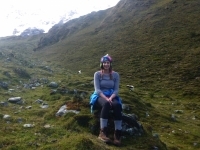 7 Days – The Lares Trek takes us through different local andean villages, which gives the opportunity to interact with Quechua-speaking people and find a different approach to local culture. 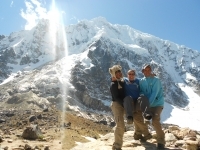 The scenery changes daily during the Salkantay Trek. Hike through cloud forests, small villages and grasslands, from a flattish valley floor to almost bare mountain peaks to your last destination, Machu Picchu. 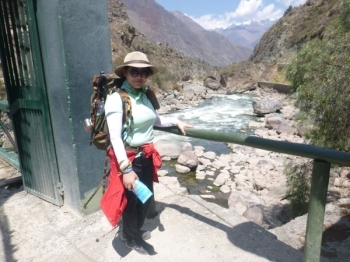 11 Days – This well thought package includes an incredible journey to the Ruins of Choquequirao and Machu Picchu including two nights of acclimatization in Cusco before the trek. Booking a Machu Picchu tour? Need assistance? Please call us toll free and one of our expert advisors will get in touch as soon as possible. 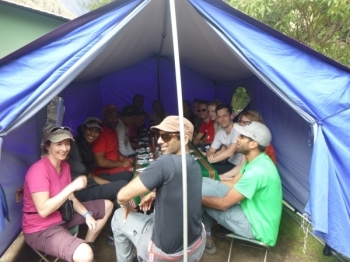 You can always secure a trekking permit in advance for the 4 days trek here. The Peruvian government organization known as the INC (National Institute of Culture Cusco) is the entity that regulates maintenance, prices and availability of Inca trail permits and in conjunction with INRENA (National Institute of Natural Resources), authorizes companies to operate along the Inca roads to Machu Picchu. Inca Trail Reservations is authorized to operate along the Incan Roads, authorization code for 2017 - 2018: CI0088. 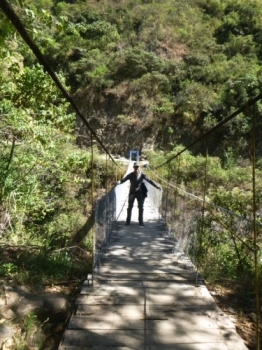 We are Inca Trail Reservations - The Best Inca Trail Tour Operator!